Aviation fans may play at a round-the-world race in a new game designed by Assen Jordanoff, veteran pilot and frequent contributor to Popular Science Monthly. 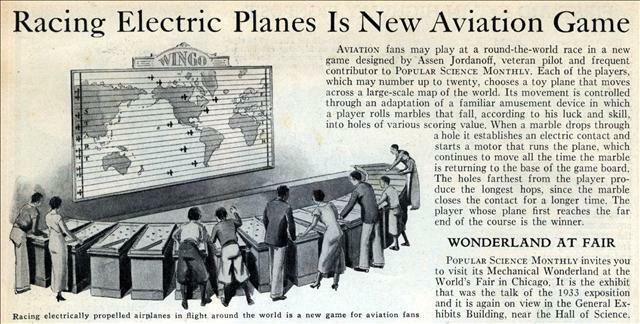 Each of the players, which may number up to twenty, chooses a toy plane that moves across a large-scale map of the world. Its movement is controlled through an adaptation of a familiar amusement device in which a player rolls marbles that fall, according to his luck and skill, into holes of various scoring value. When a marble drops through a hole it establishes an electric contact and starts a motor that runs the plane, which continues to move all the time the marble is returning to the base of the game board. The holes farthest from the player produce the longest hops, since the marble closes the contact for a longer time. 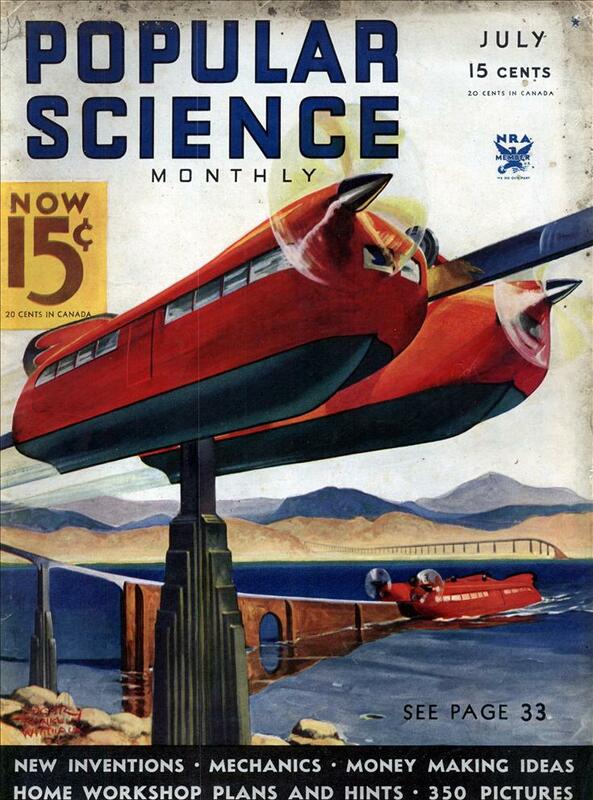 The player whose plane first reaches the far end of the course is the winner. A very nice and almost timely theme for its day. One thing never changes… having a good barker (talker) calling the game and encouraging the players makes it a lot more fun than watching lifeless toys crawling across.